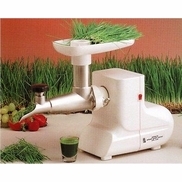 Grow delicious and nutritious sprouts with this all-advanced Biosta Three-Tier Sprouter. With efficient design and quality features, it offers you exceptional utility for producing sprouts from both small as well as large seeds. The sprouts produced are loaded with natural vitamins, minerals, proteins and enzymes, with high nutritional value and low calories count. The three-tier architecture adds to its efficiency. Biosta Three-Tier Sprouter allows you to grow delicious and nutrition rich sprouts, that too on your soil, in your home itself. It also doesn't require soil, sun, or any green thumb for this purpose. 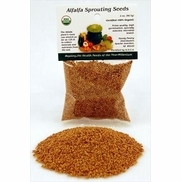 You get delicious, fresh sprouts full of taste in short duration of 3 days after which you can eat them or harvest them as per your requirement. Being rich in natural vitamins, minerals, proteins and enzymes, these sprouts features exceptional high nutritional value and comes low in calories. 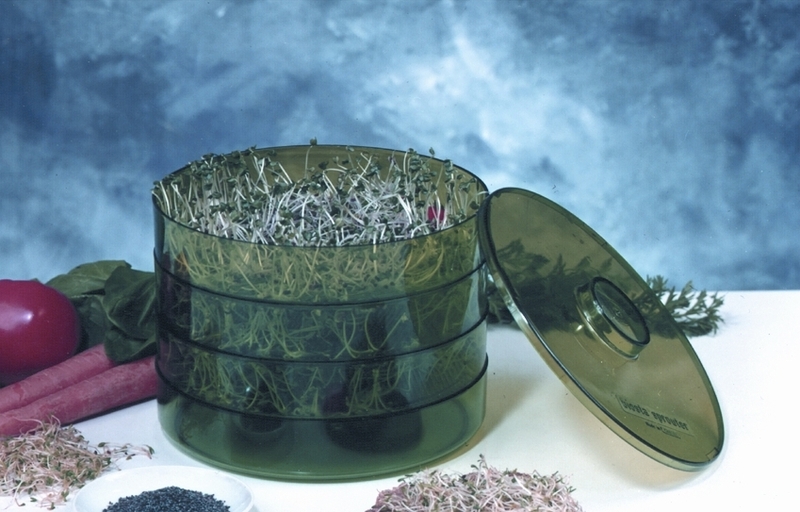 The Biosta Sprouter features three nesting 7-3/4" diameter sprouting trays which are gives as a water collection tray and a lid. You should first insert the red drainage caps in each tray, then cover the ribbed surface of each tray with a fine layer of seeds. Further, pour about 1 pint of warm water into the top tray. Its patented pending design facilitates trays to get successively drained into one another, while leaving behind roughly 1-2 tablespoons of water in the ribbed bottoms of each tray. This three-tier process is completely adequate to produce the right amount of humidity for quick germination. If it is used for small seeds like alfalfa, cress or mustard, you are just required to re-water one time in 4 days. 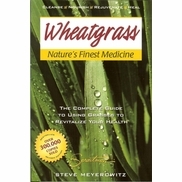 You should re-water once a day for large seeds such as wheatgrass berries and soybeans. 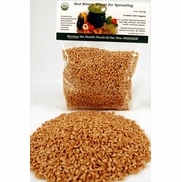 You can buy a wide range of seeds at health foods stores. 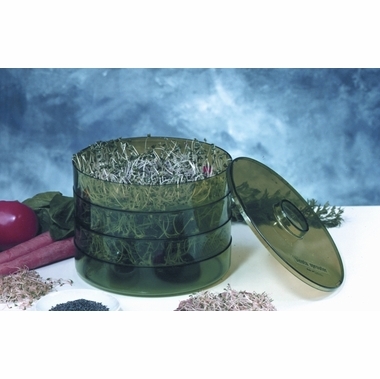 Have used this sprouter for several years and it grows wonderful sprouts. I just love it! Trouble with water drainage. Proper flow due to drainage ports to high, therefore to much water left in top dish won't drain to second dish much less third. Must leave lid off for any drain to happen as well as red caps. Each tray has to be taken off, tipped on side for water to drain through raised drain port otherwise in sufficient draining to next lower level. Am I not understanding system?